Product Details: Plant-Based. New Formula. Ingredients to Replenish Electrolytes. No Added Sugars. Electrolytes. 100% DV Vitamin C. Made With Real Plant-Based Food Ingredients. Stay Hydrated Out There. Only 5 Calories. 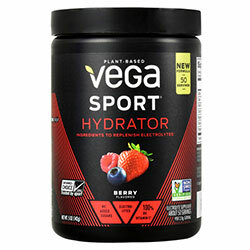 Vega Sport Nutrition System: Fuel Your Body with Vega's Three-Stage Performance Nutrition System-Pre. Mild, And Post Workout. Vegan. Other Ingredients: Coconut Water Powder, Citric Acid, Natural Flavors, Stevia Leaf Extract, Organic Beet Root Powder (for Color).